John Mayer hasn&apos;t released a studio album since 2013&apos;s Paradise Valley, but it seems as if the long wait is finally over...sort of. Early Friday morning, Mayer released what he called &apos;Wave 1&apos; of his new project The Search for Everything. It&apos;s a four-song collection that includes the previously-released single "Love on the Weekend" and three new tracks. Mayer explained his rationale earlier this month in a Facebook post. "The album will be released four songs at a time," he wote. "There were too many songs to ever get out the door at once." 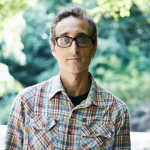 Mayer explained on Twitter that these new songs were performed and recorded by many of the same people who worked on his hit 2006 LP Continuum, including the world-class rhythm section of bassist Pino Palladino and drummer Steve Jordan. Go ahead, look at their credits: we&apos;ll wait. "These songs represent literally hundreds of hours of living inside these little worlds," Mayer wrote. "And more to come." You can stream &apos;Wave One&apos; of The Search for Everything below via Spotify. John Mayer Returns With New Single "Love on the Weekend"